Kingdom Hearts 2.8 delivers on its goal to get people excited for Kingdom Hearts 3. 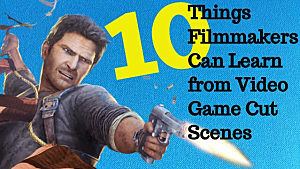 Plus, the other games and media included are very fun, too. 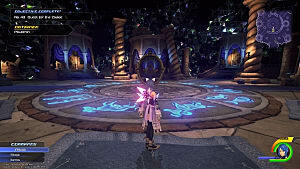 2.8 features an HD remaster of Dream Drop Distance, previously only on Nintendo 3DS; a new playable episode of Birth By Sleep; and a movie that explains the events before the Keyblade War. Everything included in this package has direct ties to what will happen in Kingdom Hearts 3, but they also do well as standalone titles. Kingdom Hearts 0.2, The Birth By Sleep Passage, is my favorite part about this game. It is something we haven't played before and it is running on the engine Square is using for Kingdom Hearts 3. 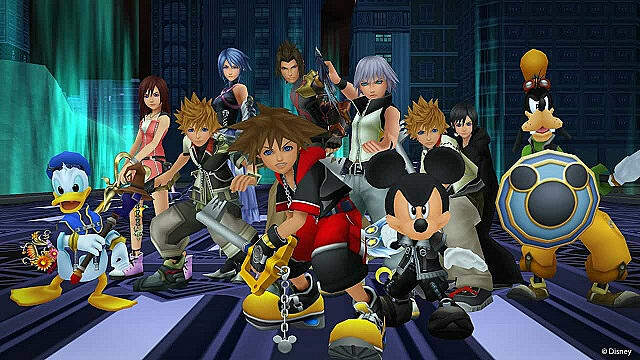 It is readily apparent to anyone that has played Kingdom Hearts, even the Dream Drop Distance Remaster on the same disc, that the graphics are better here, while the gameplay is more engaging. The first magic spell you cast will have you in awe -- and the controls are so fluid you won't want to stop combat. 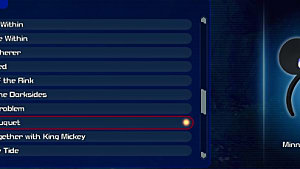 You get to play as Aqua, so that gives you a break from Sora or Riku for a bit. The best part about the game, is that there is plenty of replay value. This is good since it isn't a full game and won't take you more than an hour or 2 to beat. 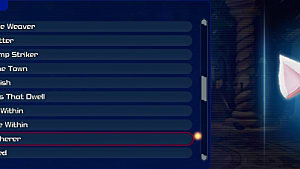 There are 51 objectives you can complete in the game to unlock costume pieces to dress Aqua. 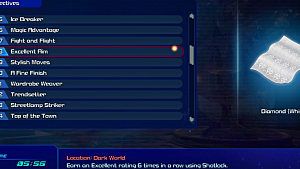 Many are not even possible until your second playthrough by using the New Game+ option. Dream Drop Distance is also great for those that haven't played the 3DS version. 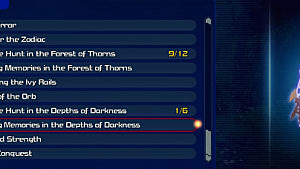 It has a unique concept to the series as you can switch between Sora and Riku at will, or by the drop gauge depleting. You see 2 sides of a story, similar to the original Birth By Sleep. There are also monsters called Dream Eaters that you can create and raise to fight with you. Speaking of Dream Eaters, the remaster adds some new ones. Everything that required touch screen has been reworked for PS4, so no worries there. The Kingdom Hearts X Back Cover movie was actually pretty good, but it left me with more questions than answers. It was good and bad since I really want to play Kingdom Hearts 3 now to hopefully find out more, but there is no telling when it will release. Kingdom Hearts 0.2 was great and had more content than I thought, however, it also made it harder to play Dream Drop Distance. 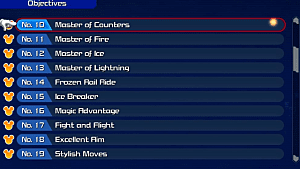 Dream Drop Distance is still a great game, but the engine for Kingdom Hearts 0.2 is so superior that it makes Dream Drop Distance look obsolete. Plus, the whole game's purpose to give us something to do while we wait for Kingdom Hearts 3, but we don't even have a release date yet. If possible, I recommend playing through Dream Drop Distance before 0.2 to really appreciate it. I would not suggest this game if you have never played Kingdom Hearts because the story is such an integral part of the series. 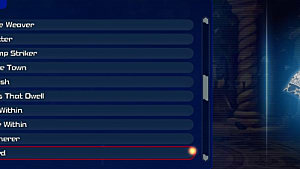 If you want to just play the extra chapter, you can without playing previous games. You can read the whole story of Birth By Sleep in-game, which takes place before the first game. Anything else is related to Kingdom Hearts 1 and 2, so I would definitely play those first. Any fan of Kingdom Hearts should pick this up, but that is the target audience. Some people complain about it being $60, but I don't think that's a problem. This is a better-looking version of a 3DS game, a new movie, and a new chapter running on a new engine. 0.2 is more than just a demo, though not a full game. Overall, it is still well worth the price. Kingdom Hearts 2.8 does exactly what it was meant to do. Get us ready for Kingdom Hearts 3.